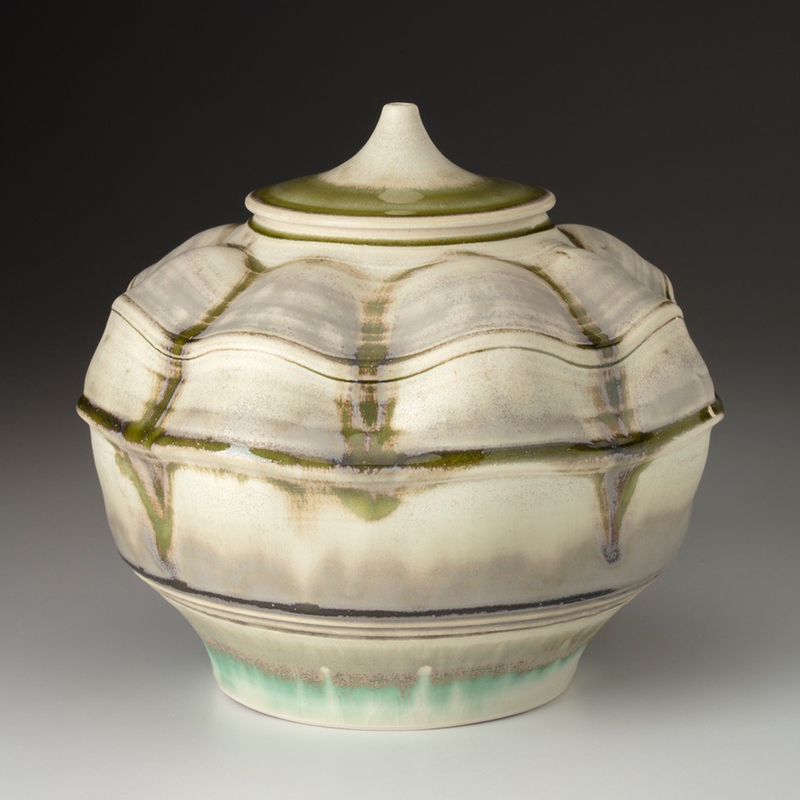 Aysha Peltz’s pottery explores imagined space, scale and the poetic properties of the ceramic medium. 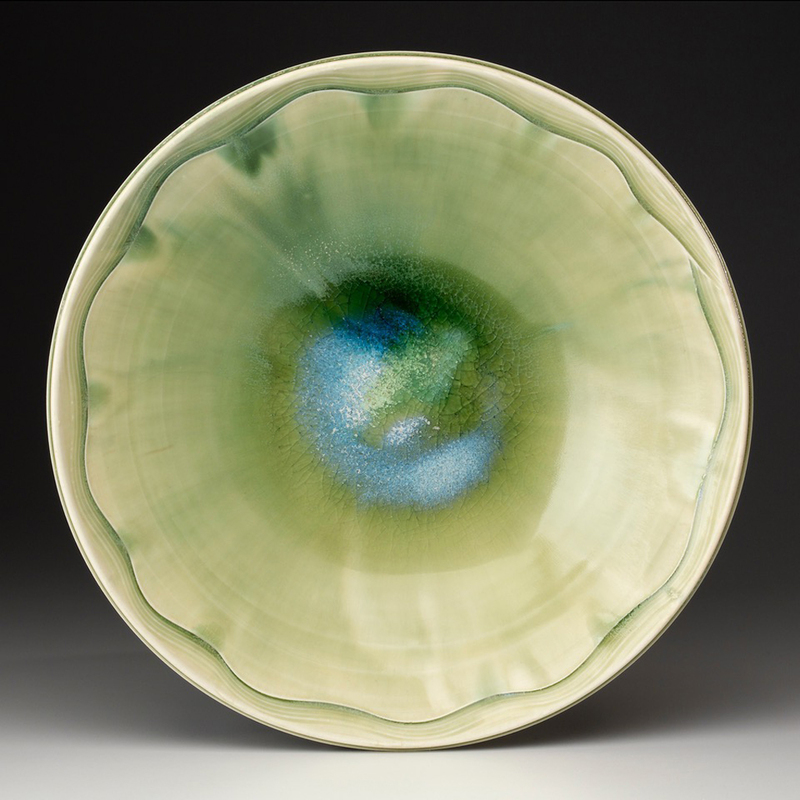 She is a studio potter and faculty at Bennington College in Vermont. She received her BFA and MFA from Alfred University. 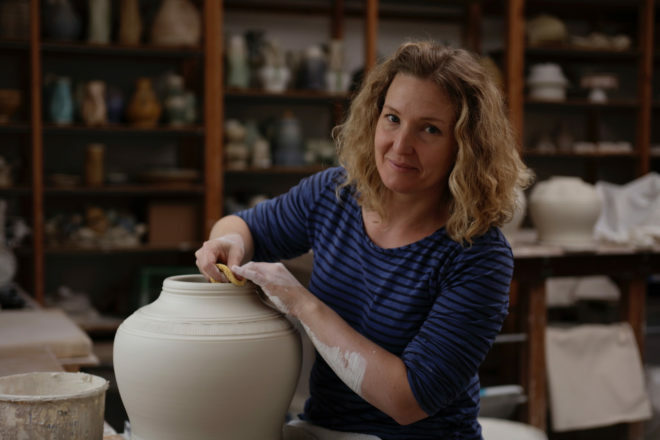 She has taught at a number of schools and art centers including: Arrowmont School of Arts and Crafts, Peter’s Valley, Alfred University and the Kansas City Art Institute. 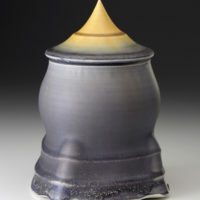 Peltz was awarded an Emerging Artist Award at the National Council for the Education of the Ceramic Arts. 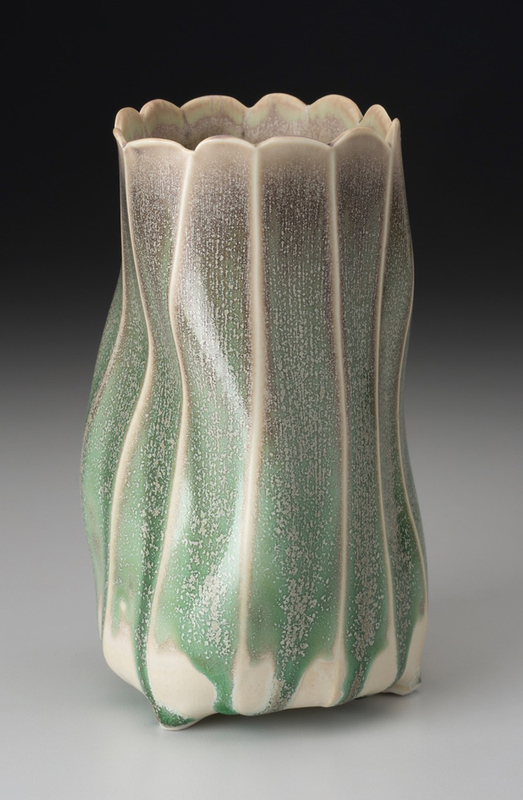 Her work is in many collections including: the American Museum of Ceramic Art, The Schein-Joseph International Museum of Ceramic Art, Jingdezhen Ceramic Institute, and the Huntington Museum of Art, where she received Walter Gropius Master Award. 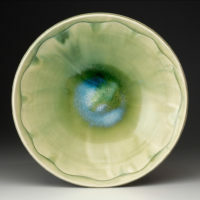 The pottery I make explores imagined space, scale, and the poetic properties of the ceramic medium. I believe most good pots, whether functional or not, conjure up associations beyond practical use. The forms I make speak of utility and stir emotions; their familiarity creates an invitation to explore further. 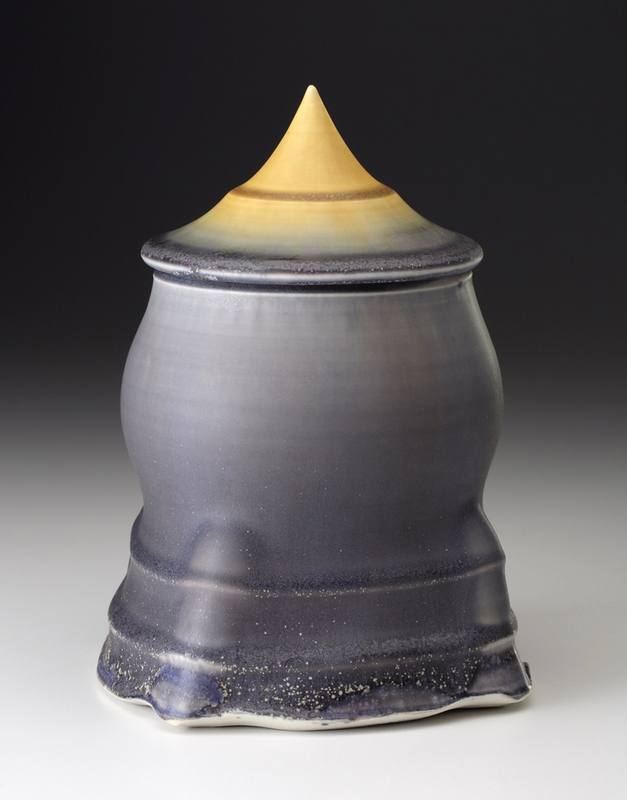 My thrown pots are built on basic geometries: cylinders or cones varying in proportions with suggestions of volume. Working from this foundation, I add layers of texture and dimensional lines that will respond to and emphasize the distinct qualities that emerge as I finish each piece. This process is a series of considered alterations: a push into the inside or outside of the wall, expanding the texture, creating curves and swells in the form. This way of working naturally creates suggestions of terrain and flora, parched earth, a body in motion, the imminent decay of something overripe. To accentuate their organic, naturalistic qualities, I fire the work under fluid, translucent glazes, which preserves “moments” in the fired clay. My pleasure in making these pieces comes from losing myself in their surfaces and imagining myself in their landscape; a journey in which references become allusions. 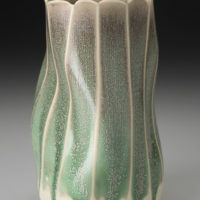 Ultimately, I am most satisfied by the phenomenon that occurs when I push against a thrown and textured form to reveal something unique to the properties of clay.